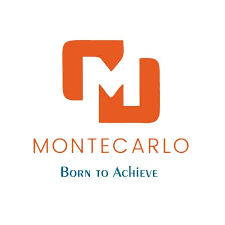 The construction company, Montecarlo has filed its draft prospectus with Securities Exchange Board of India (SEBI) to raise around Rs. 550 crores through the Initial Public Offer (IPO). Montecarlo is one of the largest construction companies in India noted for large-scale civil construction and energy networks. The company offers its services in Water & Irrigation, Highways, Railways, Mining, Power and Building & Factories. Montecarlo IPO comprises of the fresh issue of shares worth Rs. 450 crores and offer for sale of 30 lakh shares of the present shareholder, Kanubhai M Patel. Edelweiss Financial Services, Axis Capital and IDFC Bank are the lead book managers for the IPO. The order book of Montecarlo as on December 2017 stood at Rs. 5,300 crores. After December 2017, the company was awarded 11 new infrastructure construction and development projects across India. Founded in 1995, the company went for restructuring its business in 2017. As part of the restructuring, the company had put real estate business as a separate entity and all infra related businesses in the main company. The company consolidated Montecarlo Energy, Montecarlo Projects, Montecarlo Engineering and Montecarlo Infrastructure into Montecarlo Limited. The real estate business is transferred into two entities Montecarlo Realty Ltd and Montecarlo Construction Pvt. Ltd.